Despite industry improvements over the past decade, the Health and Safety Executive reports that falls from height remains one of the biggest causes of fatalities and major injuries, with the UK construction sector having one of the highest fatality rates. Of the 217 fatalities reported in 2014/2015 for the last five years, almost half were caused by falls from height. 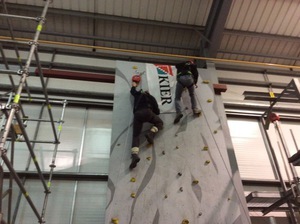 Kier Construction London recognised that the most effective way to achieve its goal of increasing on-site hazard awareness was to undergo a bespoke training course aimed specifically at project managers, site managers and supervisors as they were best placed to influence behaviour onsite. The training would also need to target subcontractors who would be handpicked to attend on the basis of their level of competence and ability. The business required training that reflected relevant sections from the Work at Height Regulations (WaH) 2005 as well as supporting British standards backed up by practical exercises to reinforce the theory. The course also needed to build on the company’s minimum safety standards and guidelines, which exceed UK safety requirements, and support continual professional development (CPD) for its senior managers. Kier Construction London approached Honeywell Industrial Safety to seek help in designing a bespoke safety at height CPD training programme. Honeywell’s interactive Safety Centre in Northampton was identified as the most suitable location to provide the practical training. Drawing on relevant sections from the WaH regulations 2005 and supporting British safety standards as well as on Kier’s safety guidelines, Honeywell’s safety trainers then designed a two day course, split into eight modules, covering areas including ‘selection of work equipment for WaH’, ‘falling objects and danger areas’ and ‘inspection of work equipment’. 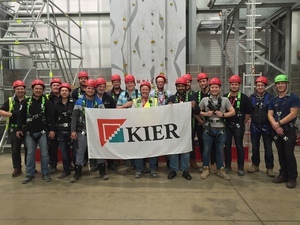 The first course was delivered in January 2016 and was attended by members of Kier Construction London’s safety, health and environmental (SHE) department, who assessed the content and delivery and made adaptions to improve it for future delegates. The course continues to evolve and draws on the feedback from project managers, site managers and site supervisors who are able to reflect on their own personal experiences on-site and feed this into the course content. The training uses interactive, classroom-based sessions to explore the regulations in detail before the delegates move next door to undertake practical exercises in the training facility. For instance, the theoretical section covers rescue training in detail and helps the delegates to understand the employer’s legal duties. The rescue section makes it clear that emergency services cannot be the first port of call when an incident happens and that each company needs to have its own rescue plan in place. One of the challenges employers face is that an employee may have already undertaken training on how to rescue from a crane but an incident may not happen for a year or even longer. To ensure that the trained person remains competent, they will need continuous refresher training and this requires specialist training with harnesses. The purpose of the practical exercises on the course is to give delegates the opportunity to practise with harnesses and rescue systems so that they are prepared for such a scenario. 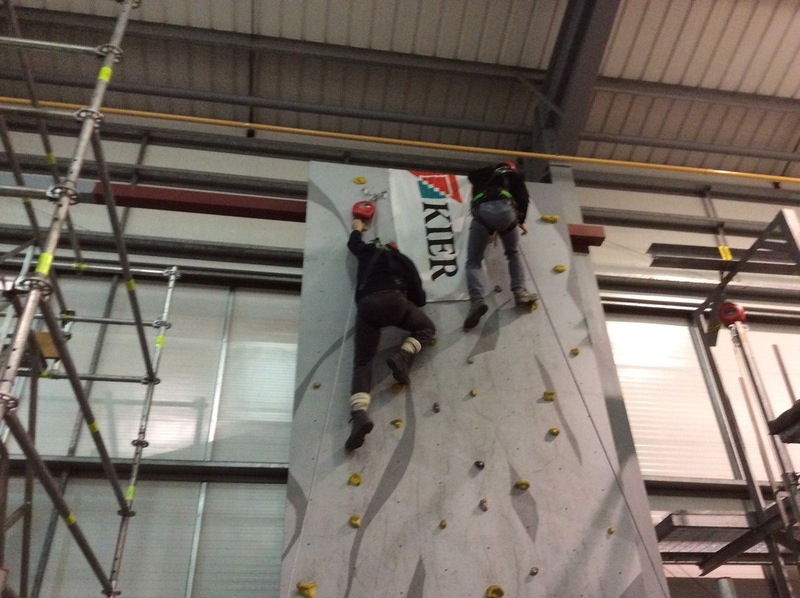 It is clear from the feedback received from the over 100 Kier Construction London employees attending the course that the training has helped them to achieve a better understanding of onsite hazards and how to minimise risks. 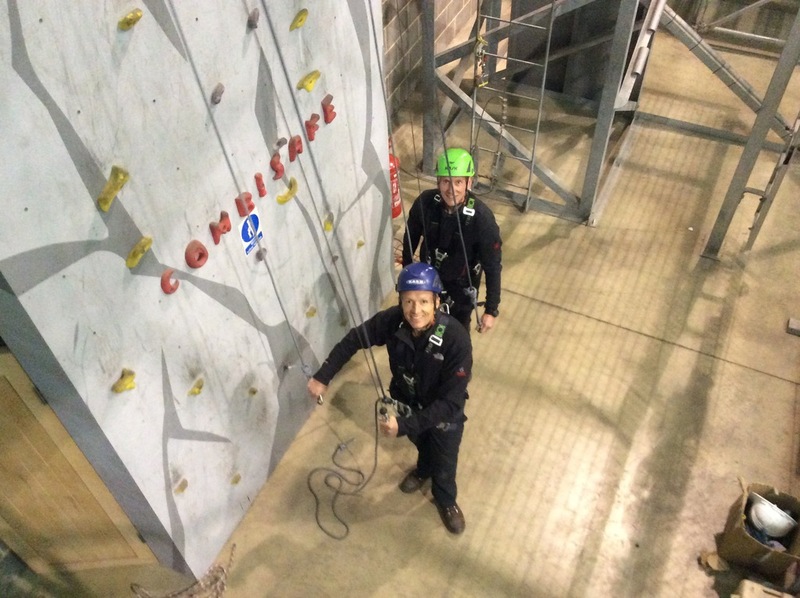 More than 98% said that they would recommend the course to other staff members while 97% said they would change the way that they approached safety at height when they returned to the workplace. The course offered an environment for the company to reinforce its safety standards and guidelines to its front line managers who will take this knowledge back to their individual sites. For example, HSE guidelines recommend that construction companies inspect harnesses every six months. However, Kier Construction asks its SHE teams or subcontractors to do this every three months. One of the key drivers behind the success of the training has been the mix of practical and theoretical exercises. Everyone absorbs and retains information differently and the varied learning experience has helped to reinforce the overall aims of the course.